The book begins with a historical review of the topic. Subsequent chapters offer in-depth exploration of the significant foundations, function, impacts, and treatments associated with PTSD. 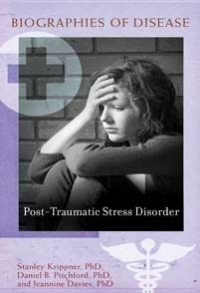 Each chapter incorporates case studies to bring the information to life and ensure an appreciation of the myriad social, psychological, and biological experiences surrounding PTSD.